Bitso-bitso or karioka is popular all-over the Philippines. It can also be seen in the streets, hence also considered as one of the most well-loved sweet street foods. Depending on your preference, you can make different flavors of bitso-bitso. In my province, we call it bitso-bitso and we usually add scraped (kinayod or kinaros) buko or coconut to karioka balls to make it creamier and tastier. Others also add langka or ube or roasted sesame seeds and others. 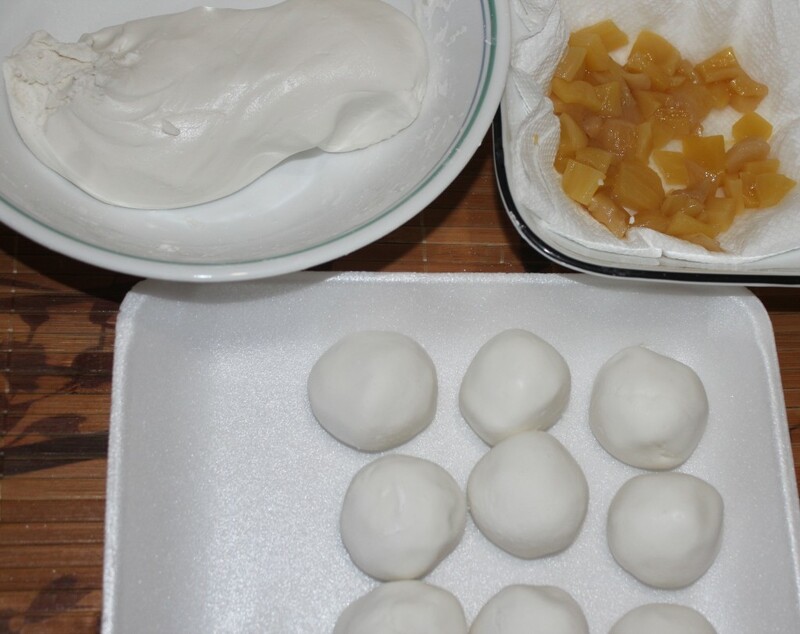 1) For the dough, mix glutinous flour, one cup of coconut milk and half of the langka until the mixture becomes sticky and can be formed into balls. Note: Add water to the mixture if it’s dry or if necessary. 2) Make into 1 inch ball and while doing so, put 2-3 slices of langka inside. 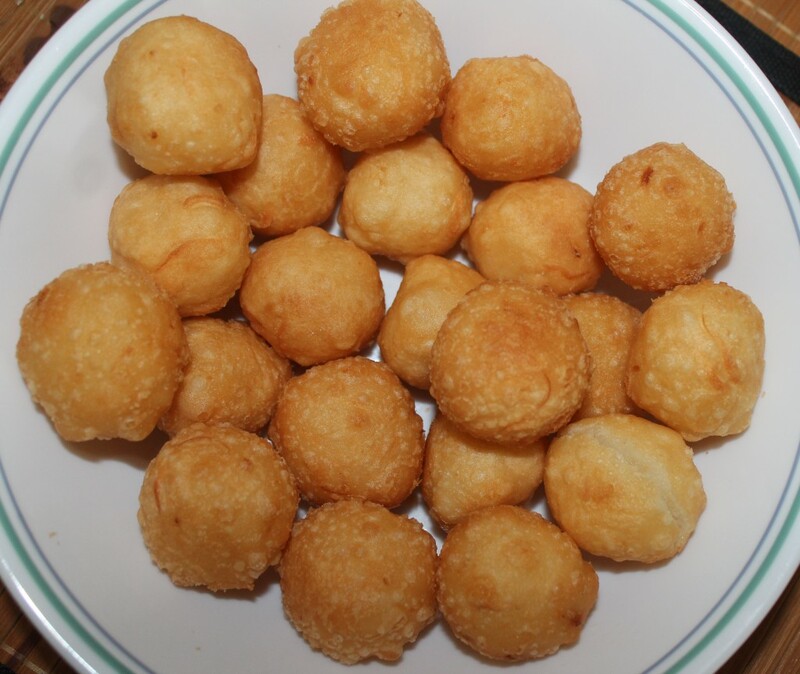 3) Deep fry the balls for 5 minutes or until it turns into light brown. 4) For the sauce, boil the 1 cup of coconut milk and brown sugar and stir until the mixture becomes sticky. 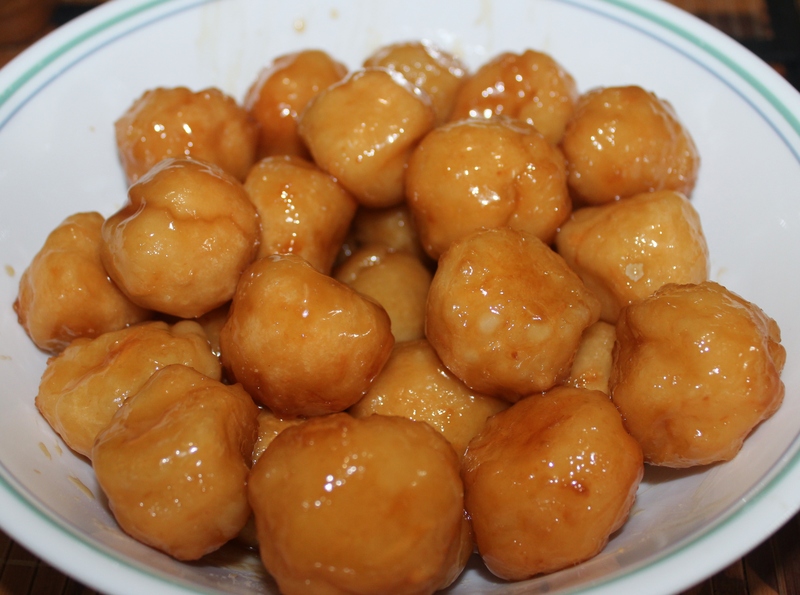 5) Pour the sauce on the karioka balls and mix gently to make sure the balls are completely covered with sauce. 6) Ready to serve. Karioka or bitso-bitso is best to eat while it’s hot. You may also change the flavor of bitso-bitso karioka by simply changing the langka into macapuno, ube jam, strawberry jam and other fruits or flavors you want. Salamat! Feel free to browse for other recipes in our website. Have fun! Do you put it in the fridge or just room temperature? If you put it in the fridge it really gets so hard but it should get softer when you heat it in the microwave. If you just leave it in room temperature for 1-2 days it’s still okay, it won’t get spoil based from my experience. Indeed it’s yummy! this is an original Ilocano dessert/snack. Have you tried it? Share to me your experience if you have tried it.